An $11 million gift to UCLA from physicist and philanthropist Mani Bhaumik will establish a center devoted to advancing knowledge of the basic laws of nature. The Mani L. Bhaumik Institute for Theoretical Physics is intended to become a world-leading center for theoretical physics research and intellectual inquiry. 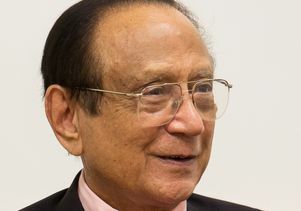 Bhaumik’s donation is the largest in the history of both UCLA’s department of physics and astronomy and the UCLA Division of Physical Sciences. Theoretical physicists attempt to determine the action of the laws of nature by constructing mathematical models of physical systems and solving the equations that underlie those models, sometimes aided by computers. This is in contrast to another primary branch of physics, experimental physics, in which scientists use tools and instruments to perform measurements and uncover the behavior of natural systems. At the deepest level, theoretical physicists formulate the laws that govern the world in which we live. The Bhaumik Institute will host visiting scholars, organize seminars and conferences for the academic community, and begin a public outreach program to teach the community about scientific advances made by UCLA physicists. Bhaumik rose from poverty to become an eminent scientist who played a key role in developing the laser technology that paved the way for Lasik eye surgery. He was born in a remote village in West Bengal, India, and as a child slept on rags in the thatched-roof mud hut he shared with his parents and six siblings. Life was made even more precarious by the struggle for Indian independence going on around him: Bhaumik’s father, a freedom fighter, was often away and spent time in prison for his revolutionary activities. But Mani Bhaumik’s dreams of a brighter future gave him the determination to obtain a good education, and his prodigious curiosity led him to become a scientist. Studying under renowned physicist Satyendra Bose, he earned a master’s degree at the University of Calcutta. In 1958, Bhaumik became the first student to earn a doctorate, also in physics, from the Indian Institute of Technology Kharagpur. Bhaumik came to UCLA in 1959 — “with $3 in my pocket,” he said — on a Sloan Foundation postdoctoral fellowship. The people of his village raised the money for his airfare. In 1961, Bhaumik joined Xerox Electro-Optical Systems as a laser scientist. He later served as director of the laser technology laboratory at Northrop’s corporate research laboratory. In 1973, he announced the conclusive demonstration of the world’s first efficient excimer laser, a form of ultraviolet laser now commonly used for high-precision machining and for cutting biological tissue cleanly without damaging surrounding tissue. Bhaumik is a fellow of the American Physical Society and of the Institute of Electrical and Electronics Engineers and, in 2011, the Indian government awarded him the prestigious Padma Shri for distinguished service in science and engineering. As a member of the UCLA Physical Sciences board of visitors, Bhaumik has witnessed declining funding for scientific research from state and federal government, particularly in the field of theoretical physics. With previous donations to UCLA, he established the Mani L. Bhaumik Presidential Chair in Theoretical Physics and supported the work of a research group led by physics professor Zvi Bern. In India, Bhaumik’s rags-to-riches story has inspired generations of young people. 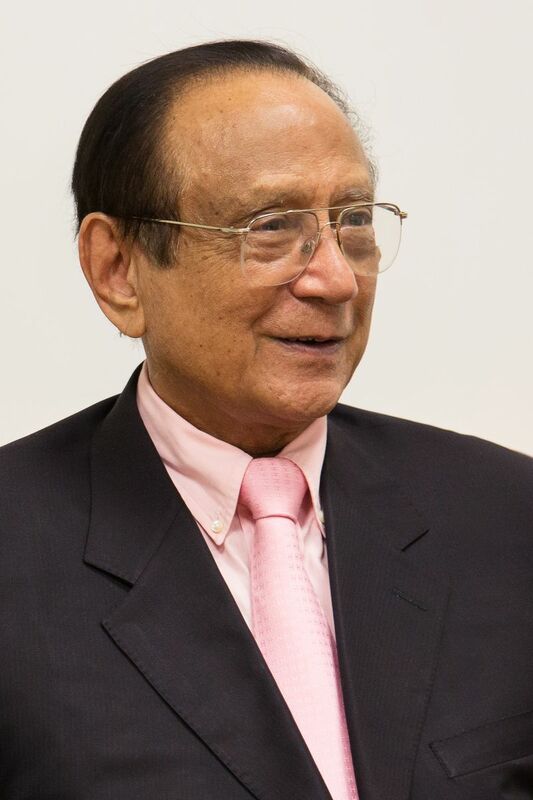 He established the Mani Bhaumik Educational Foundation to support high-achieving Indian students and donated land for the proposed Bhaumik International Center for Advanced Research at the Indian Institute of Technology.